Ralf Bieler, President & CEO of Cash Flow Exclusive, LLC, caught up with Mr. Armstrong in August of 2011 to talk with him about his business and his outlook on current events as well as the effects of the economy and political situation on the note buying business overall. Read on to get an up-to-date and in-depth industry expert view on the opportunities and challenges within today’s seller-held note industry. CFE: Jeff, perhaps you could first take us back in time, and tell us about how you got started in the cash flow industry and how or why you got into the seller financed real estate note business. What was the trigger, and what did you do before? Thanks Ralf! Before 1991 I had learned the no money down method of buying real estate from one Dave Del Dotto. (I bet that takes you back.) While working as a frozen foods night crew manager for a local southern California supermarket I spent my days taking care of the properties I had accumulated and did the landlording thing. I also had a handyman business for quite awhile as well as a landscaping business too. But working a very physical job at night and doing a physical business in the daytime was draining. I was always looking for something better. I was constantly going to those free workshops and buying all the books and tapes and programs you could imagine trying to find the thing that would work for me. The last one I went to was the ACFA (called NMII back then) five day boot camp about the discounted seller financed note business. As I sat in the boot camp it all sunk in and I knew deep down that this business was for me. No more tenants, toilets, taxes or termites for me! Twenty years later, with lots of hard work, dedication and persistence, I am still a practitioner in the note business. CFE: What was your experience when exchanging the certainty of a predictable paycheck for the uncertain abyss of self-employment? One of the scariest days of my life was the day I quit my job at the supermarket (after almost ten years in the grocery business). I had been doing the note business for over a year and a half and closed a sizable transaction and made about the same amount I would make in a year working at the grocery store. I was always somewhat of a conservative risk taker but with 19 months under my belt in the industry I was confident and reassured that I could make it work for me full time. So I bit the proverbial bullet, quit my job and the rest is history. At times I do miss the predictable paycheck and steady income but I have no regrets and would do it again in a heartbeat. CFE: Fill us in on your current company, if you would, Jeff. What exactly does Armstrong Capital do? How are you organized, which services do you offer, and what type of deals and clients are you looking for? And how exactly is Armstrong Capital different from other competitors in this field? 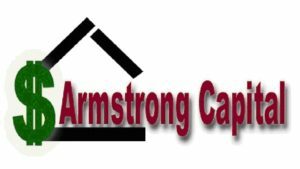 Armstrong Capital primarily purchases and brokers performing first position individually held seller held notes nationwide. These notes come about when the seller of the property carries back the note to facilitate the sale of the property. After twenty years of operating as a primarily one man operation we have been involved in transactions in 42 different states and closed over 1500 individual transactions. We do not work with non-performing notes, performing or non-performing portfolios, nor do we create, originate or in any other way give or make loans. In addition, we only buy from individual note sellers and we do not buy from banks, mortgage companies or institutions. We are a licensed CA RE Broker, as required by the state of CA, and operate with a straightforward, honest and fair ethic. We are realistic in our pricing and offer sellers and note brokers a good mix of options to meet their needs. Although we do purchase the entire note (referred to as a full purchase), which is where most of the competition is, over 70% of our business over the years has been partial purchases and working with the note sellers to meet their needs. We have separated ourselves from the competition by being realistic, building rapport with the note seller, offering options (rather than the more heavily discounted full purchases) and by staying in business. CFE: What changes in your business have you noticed when comparing the time pre and post the burst of the real estate bubble, the financial meltdown, and the ensuing economic contraction? How do you see the people you work with – note sellers, brokers, and investors – being affected? And how do you get through such challenging times? Thus far in my twenty years in the note business I have seen several up and downs or “waves” in the note business but this last down really threw everyone for a loop. You see the “normal” waves went like this…when interest rates went up real estate values would go down (a regular amount) and it made it harder for people to qualify for traditional conventional financing which in turn led to more seller held notes being carried back which led to more volume (as far as numbers of transactions closed), decent prices for notes and business was excellent. Then when interest rates went down real estate values would go up (a regular amount) and it made it easier for people to qualify for traditional conventional financing which in turn led to less seller held notes being carried back which led to decreased volume (in terms of numbers of transactions closed), with excellent prices for notes and business was still good. Then we had this last cycle where interest rates were down and the real estate values went down DRASTICALLY the real estate bubble burst and combined with the financial meltdown and recession. With all of those issues to deal with major institutional note buyers disappeared (due to no more securitization and having to deal with their own foreclosures and REO’s). Yet at the same time as banks tightened their lending criteria we have seen a huge influx of seller-carry back notes. We have seen the volume of calls increase; note sellers definitely need money now. However, with lower purchase prices for notes, fewer deals closing due to poor credit and low appraisals (much lower than the original sales price) there has been a very timely thinning of the herd. The days of investor beware paper buying are over and investors buying up all kinds of notes at ridiculous prices with poor credit buyers and inflated appraisals are over as well. The easy times of minimal effort on the note broker’s part, incomplete worksheets, unfinished packages, meager due diligence and fly by night closings are a thing of the past. The few note buyers and note brokers who have adapted and changed with the conditions are realistic, have the ability to get the story behind the note and find the sellers true need, are proficient with their calculators, have product knowledge (know many different ways to buy a note), are proficient with their follow up and focused on growth and survival. Note brokers are now expected to think like an investor as if it’s their money on the line. CFE: Where do you stand in the discussion that the Federal Reserve – which received sweeping new authority under the Obama regulatory reauthorization – wants to effectively eliminate seller-held mortgages by enacting a rule for the Dodd-Frank Act that prohibits property sellers from taking back a mortgage unless the buyer can essentially qualify for conventional financing? Why do you think the Feds would go down that route during the current economic situation, and how would this affect your and everybody else’s mortgage note business? CFE: So, when you take all the current and potentially future challenges into consideration, what are the opportunities for the seller financed real estate note business? Where is it going, what is its future? And what can you and others do to make it brighter? In my opinion there will always be a seller held note business in some way, shape or form. The ones that are innovative and can adapt to whatever hurdles come up will grow and survive. Successful note brokers will need to be more knowledgeable and accountable for the information they provide to note investors. Thriving note investors will need to be more educated, thorough and even investigative in their due diligence. For a brighter future I personally will continue to inform, educate and pass along the knowledge and experience I have gained over the years as well as I am able. For new and enterprising individuals entering the note business or those that have been in for awhile and maybe closed a few deals already I will say to never stop educating yourselves, get off the sidelines and be involved in the note business, align yourself with current practitioners in the business and follow their lead. CFE: Jeff, something else we heard about recently has to do with special resources or “support programs” in the notes business that are being offered to brokers. We know that you are spending quite a great deal of your time helping, teaching and training others, whether through your books or dedicated seminars, workshops, presentations, and the like. Yet, the general public may be more aware of the folks who use the power of TV to promote and sell their programs in late-night infomercials. What are your thoughts about these programs in general and in particular about the recent FTC / Colorado Attorney General’s suit for fraud against the “get-rich-quick-by-being-a-cash-flow-note-finder” pitchman Russ Dalbey (the Dalbey Education Institute a.k.a. “Winning In The Cash Flow Business” a.k.a. “America’s Note Network”)? We in the note business are all very glad that the FTC and Colorado Attorney General have finally taken action against the hype, deception and misinformation that has been filling the TV screens for years. If you know me at all you know my position on companies like the one you mention. We all know there is no such thing as a ‘note finder’ – you are a note broker or you are not. We also know that for a consistent, long term, thriving note business their system and method of ‘post a note and get a check’ is a farce and we have known this from the very beginning. In addition, we also know that any support or coaching should not be given by employees reading from a script. We first saw that John Stephanchik was shut down and heavily fined for his deceptive practices and now we believe the same thing will happen to Russ Dalbey. Yet sadly there are several more of these types of note business ‘get rich quick’ programs out there who are selling products that are grossly out dated and deceptive with incorrect information and half truths. It is unfortunate that at one point in time I believe that most of the suppliers of these programs actually did do the note business and now are just making a business of selling their outdated knowledge. They may repackage it and make it look updated but it’s still the same old stuff and as we all have heard that doing the same old stuff the same old way and expecting different results is the definition of insanity. It is truly absolutely insane to think that the things that worked for us in the note business 20 and 30 years ago (and even 5 years ago) will work in today’s delicate economy and real estate market. Do yourselves a favor, if you want to learn the note business and keep up to date and educated, purchase products and attend workshops from current practitioners in the business. The individuals in this industry who are considered to be quality instructors, speakers and mentors give of themselves and their knowledge so others can avoid the common mistakes and pitfalls of the business. They are the true survivors, they are the ones who have learned to adapt, change and morph to keep their note businesses thriving and growing. They are the ones who know and understand that the more you give the more you will receive. CFE: Well, Jeff, there is obviously a lot going on in the note business right now. What is your advice to brokers who are currently active in this field or may want to get active in the near future? What specifically should they do – or do differently or not do at all – in order to succeed in this business during the current economical and political climate? And how exactly should they prepare for their future in this business? Even with all that is going on right now, it is my opinion that the note business is at the bottom of the wave with the crest hopefully coming in 2012-2013 and the peak possibly 2014-2015. Individuals currently active in the note business and those that may want to get active in the near future must continue to stay abreast of all aspects of the note business, real estate market and financial arenas. Understanding that the note business has ALWAYS been a REAL business and NEVER a get rich quick ploy is foremost. Accepting the fact that you will have to put time, effort and money into the business just like any other business and that posting a note on the internet and receiving a check is NOT how this business is done. Appreciating that this is a people business and that it will never be a business void of human contact thereby forcing note professionals to improve their people, phone and calculator skills. CFE: Jeff, we’ve covered a lot of exciting ground today and got excellent insights and interesting perspectives on the notes business. Thank you so much for sharing your views and for taking the time out of your busy schedule for us. It’s been a real pleasure, and we wish you the best for you and your business. If there’s anything else you would like to say that we haven’t addressed so far, now would be a great time. As it is customary for us here at this point, the last word is yours!